Home PREGNANCY ISSUES Pregnancy Loss What are Heat Inducing Foods & How are they Related to Miscarriage? Almost every woman who gets pregnant becomes more conscious about her food. She thinks multiple times before putting anything in her mouth. You know very well that you need to take care of your health and get all the required nutrients in right amounts. Your doctor might have advised you to consult a dietician as well. From the day a woman gets to know about her pregnancy she starts planning what she should eat and what she shouldn’t. Right from the first month, you get diet chart prepared and eat accordingly. With changing months and trimesters your nutrient requirements also change and you keep changing the diet chart accordingly throughout your pregnancy. With the help of the diet chart given, you get to know what foods you need to eat but what about the foods you should not? There is a long list of foods which should be taken during pregnancy. Heat inducing foods are such foods which are very dangerous to you and can even lead to miscarriage and thus it is very important to know what they are and why you should avoid them. Let’s figure out what does heat inducing foods mean and how they cause miscarriage. What Do You Mean By ‘Heat Inducing Foods’? Our parents and grandparents have taught us about the different nature and properties of food items. You might have heard about light food, heavy food, foods that cool down the body and foods that generate heat in the body. Hereby the term, ‘heat inducing foods’ we are referring to those foods which generate heat in the body. You know that asparagus, cucumber, coconut water, etc. have a cooling effect on the body and foods like papaya, artichokes, ginger, etc. produce heat and help in digestion. Whenever it comes to digestion problems, we think of heat-producing foods like these; however taking these foods in excess can also have a negative impact on your digestive system. How Does Heat Inducing Foods Cause Miscarriage? We agree that there is no scientific proof regarding this but many women believe and have experienced it. Many had a miscarriage and early or premature labour. We have since ancient times that these heat inducing foods cause miscarriage and premature labour; however, there are women who did not get any side effects of these foods. There are different kinds of experiences from all around the globe; so based on that it is observed that eating these foods in excess on regular basis can be harmful. There are women who eat hot foods just to abort naturally. Thus, it is recommended to either avoid these foods or eat in moderation less frequently. Do not eat too many types of heat inducing foods on regular basis. 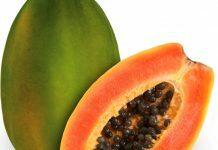 You might have heard that you should not eat papaya and pineapple which should be considered. It was observed that eating them unripe and rotten can cause more harm than ripe fruits. Does that mean you can Eat Heat Inducing Foods? There is no doubt that you should get all the required nutrients through a balanced diet; you should also eat both cooling and heat inducing foods in right amounts; however, during pregnancy, these foods have a direct impact on you and your baby. So, make sure to eat them in moderation if you want. Avoid foods which generate too much heat. When you eat heat inducing foods, make sure to eat cooling foods as well. If you feel you should not take the risk then avoid heat inducing foods especially in the first trimester when the chances of miscarriage are more. As said before these foods stimulate the digestive system and if take them in more quantity then your bowel movements may upset your body when it is already sensitive. Here is a small list of few foods which should be avoided during these precious nine months. Irrespective of just heat inducing foods these are the foods which should be eaten at least in the first trimester. Unfortunately, the number of known miscarriages are and premature births are more; about 10 to 15% of known pregnancies end up in either miscarriage or premature birth. There many unscientific theories on pregnancy which confuse us a lot. Our elders always had the best knowledge on such matter; so, it is better to take decisions carefully by thinking multiple times and consulting your doctor; you never want to end up dealing with the feeling of guilt. Next articleAre Placenta Pills Safe?